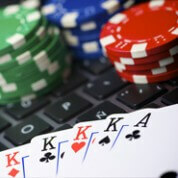 What are the major trends in the online gaming market across various European markets? What is the current state and furthermore future prospects of online and mobile games in advanced economies of Western Europe and Scandinavia? 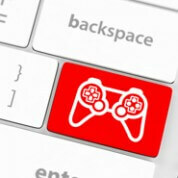 How does online gaming evolve in emerging markets of Eastern Europe? In Europe’s largest gaming market, Germany, the virtual goods segment is booming: revenues from micro-transactions in games more than doubled in 2014, while smartphones and mobile phones overtook PCs as the device most used to play games. In the UK also the freemium games model was the growth driver, especially for mobile games, but online games on PCs and consoles still outweighed revenues from mobile games last year. In France both computers and consoles were ahead of smartphones in terms of usage by gamers with some difference in payment models between these devices: free-to-play was the leading type of tames played on smartphones, while on computers it was topped by subscription-based games by a small margin. Russia is by far the largest market.in the Eastern Europe region. Social and mobile games are the main growth drivers of the online gaming revenues in Russia. A third of Internet users in Russia played games over the Internet, with a similar share of gamers playing via social networks. In Turkey, computer and smartphones were in close competition for the share of Internet users frequently playing online games, with computers remaining slightly ahead. Similarly, in Poland the percentage of gamers playing on computers and in web browsers was higher than then playing on smartphones or tablets. Overall, some Eastern European countries were behind Scandinavian and Western European countries in penetration of Internet users playing games with other persons online in 2014. Regarding the Europe-based gaming companies, French video, computer and digital games maker Ubisoft saw its digital segment grow at double-digit rate, while total revenues were down. Gameloft, another French game maker and publisher of some popular mobile game titles, saw revenues decline slightly amidst growing competition. Meanwhile, Germany-based Game Studios managed to bring its “Empire: Four Kingdoms” title to the rankings of top mobile games and almost doubled its revenues in 2014.